Lightroom CC HDR Merge - the ugly little duckling? 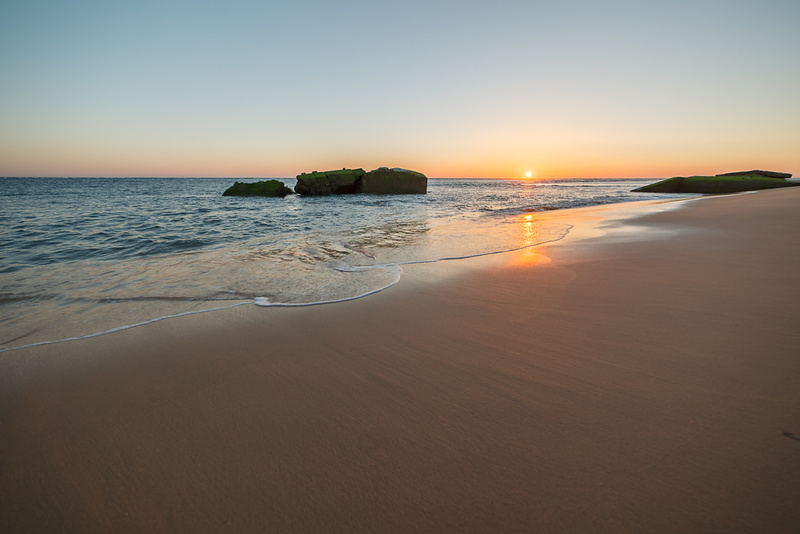 There has been a lot of buzz around the recent release of Lightroom [LR] 6 / CC. Besides the usual jabber of subscription licence deniers and "buy and own" evangelists, a lot of comments were made towards the "Photo Merge / HDR" function of LR6. Doing quite a bit of multi exposure composites, I was really electrified as soon as I heard about the new features in the leaks. When the first videos and comments emerged after the NDAs expired, people stayed rather mum about the HDR functionality, were underwhelmed by the results and even outright smashed adobe with #WTFAdobeHDR. As I am running a CC-subscription (to answer that question) the update was readily available so I went on to get through some stacks and see what LR would be able to squeeze out of them. At first sight, things are pretty even with the two images. 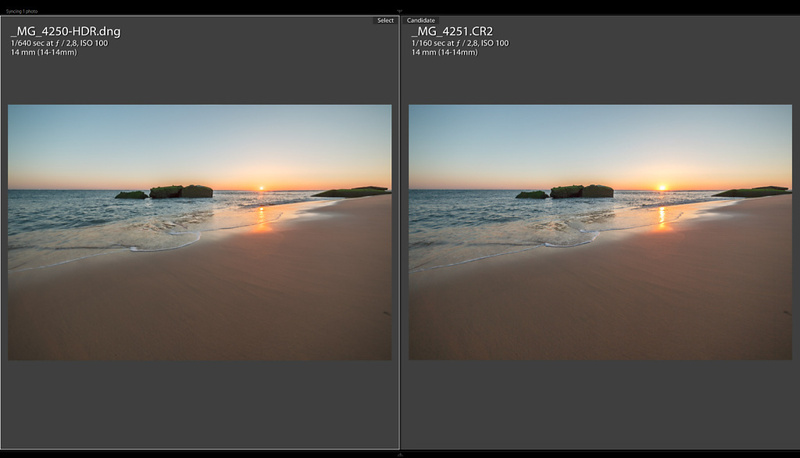 The right image is the single CR2 from my venerable 5DII, the left one a stack of 3 images 1 Stop apart. The difference in the rendering of the sun is already apparent at this size, let's zoom in a bit to 100%. I guess now things become more obvious. 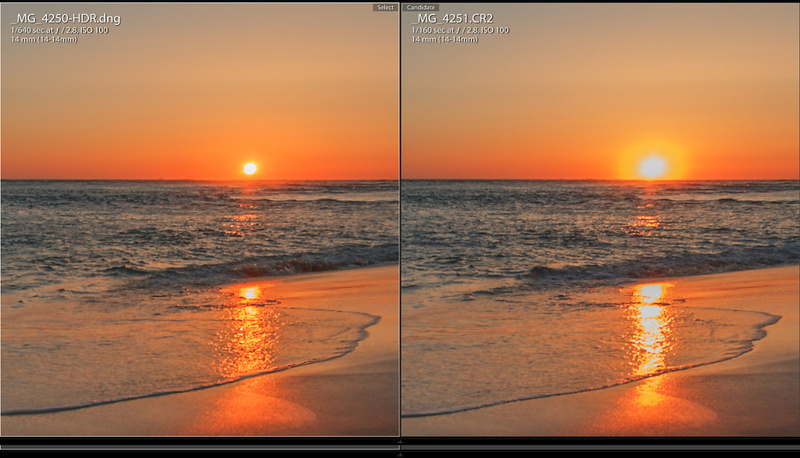 The single raw file just does not cover enough dynamic range to display the sun as the eyes might see it. The red channel is blown and there is not enough data to get a smooth transition just to the disc of the sun. Pretty darn impressive if you ask me. If one tries to evaluate this HDR functionality with an image that fits well into the histogram of a single raw file, the result will be somewhat underwhelming by its nature. If you expect to wade through a gazillion of auto-everything presets until you find a somewhat fitting recipe to get the finished flashy picture you imagined, you will be disappointed as there are none. If you want a neutral combination of the image data in a raw file (hint: implies it still has to be cooked) which lets you enjoy every aspect of the excellent Lightroom adjustments with excellent latitude... welcome to the show!